In this section on Granma’s tips, you’ll find all sorts of traditional domestic tips used by our mothers and grandmothers. They often save time and money, and will surprise you with how inventive and effective they are. 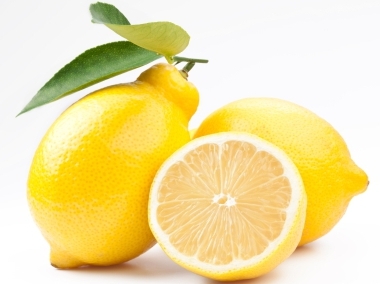 Use lemon juice as a quick, natural cleaning product in your kitchen. Possibly my favourite citrus fruit, lemons are plentiful in Cyprus. Not only do they sweeten the air with their fragrant blossom, decorate our gardens with their bright fruit, and complement our food with their tangy juice – they’re also a great cleaning aid too! The citric acid in lemons will clean away grease, kill germs and bad smells, and bleach out discolouration. For example, try rubbing half a lemon on a chopping board to give it a good clean – this will get rid of smells and germs. You can also mix lemon juice with some hot water and you’ll have a natural all-purpose kitchen cleaner. If you’re preparing a barbeque, rub half a lemon across the skewers and the grill. Even if the barbeque has been stored outside for a while, you don’t need to give it a thorough wash every time – the lemon and heat combined will do the job! But don’t get carried away with lemons – great as they are, remember that the citric acid in lemon juice can corrode some surfaces like marble, granite, silver and chrome – so it’s not suitable for everything! Find out how to use lemons for descaling.